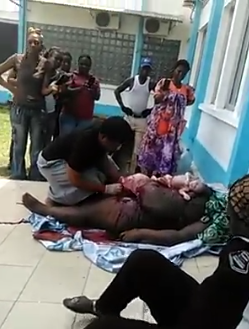 Yesterday in Cameroon, one of the most horrific things anyone can witness or hear about happened. 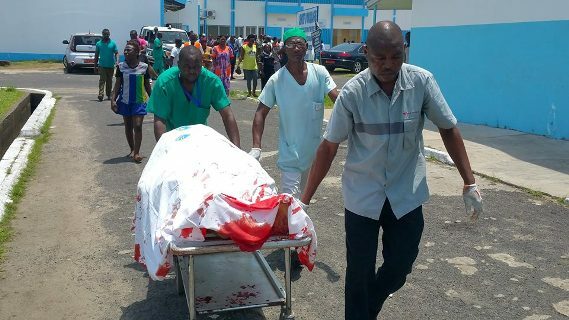 A pregnant woman got to the hospital in a taxi and upon arrival she was found dead, but the twins in her belly were hitting (crying for air). 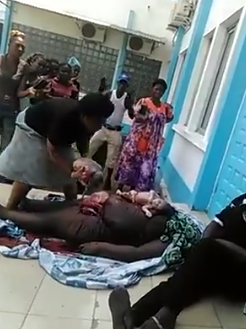 The family rushed her to Laquantini Hospital in Douala Cameroon and begged the doctors to remove the babies but they refused and asked the woman's family to take her to the morgue.